As fuel cell electric zero-emission buses (ZEBs) increase in acceptance, some myths and misconceptions about the technology persist. 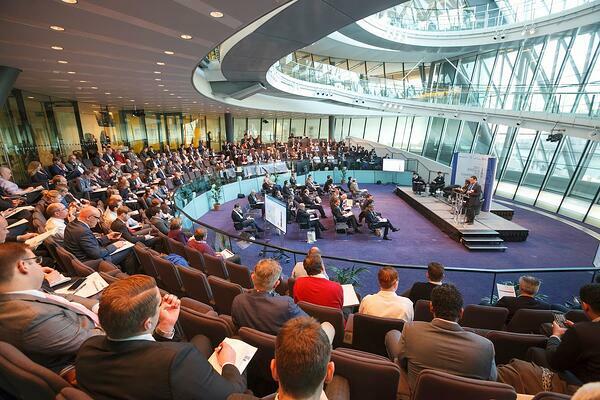 Following our experiences at the inspirational, innovation-focused 2016 International Zero Emission Bus Conference in London, England, we felt it was important to highlight a few key themes that directly address some myths surrounding hydrogen. We invite you to download the 2016 International Zero Emission Bus Conference Report that summarizes the key takeaways from the conference. Myth 1: Hydrogen-powered buses are driven by environmental, not economic sustainability. Fuel cell electric buses can save money. While the need for greener transport remains a primary force behind FCEB adoption, the situation is changing. As FCEB technology has matured, the industry and transit operators are increasingly seeing economics, as well as air quality, as drivers for deployment. As one industry speaker said, We’re not here to talk about sustainability anymore, we’re here to talk about saving money”. Since the 1990's FCEB costs have decreased by 75%. A report from the U.S. Department of Energy shows that the average fuel economy of fuel cell electric buses is 1.4 times higher than conventional diesel buses. At the same time, regulations and incentives are essential to accelerate the momentum for FCEB deployment. FCEBs can be a direct replacement of conventional buses. The operability of FCEB systems is in fact, a major advantage. Several presentations highlighted how operators have directly replaced diesel buses with FCEBs on existing routes, with comparable flexibility and operability. Today’s FCEBs offer a direct diesel bus replacement, capable of 18 hours of non-stop service, with refueling times of less than ten minutes. Some operators are mixing battery electric buses (BEBs) and fuel cell electric buses (FCEBs) as complementary systems, because both are electric drive systems with many parts in common. Practical, viable refuelling infrastructure solutions exist today. Compared to some other ZEB options, refuelling strategies for hydrogen-powered bus transit are practical and viable. Charging systems, both at the depot and en-route, and hydrogen refuelling infrastructure solutions exist today that can meet demanding operational requirements. Hydrogen refuelling infrastructure can be scalable: the technology exists to fill 100 or more buses in one depot. In several presentations, operators reported on their successes and challenges related to cost of ownership, footprint, reliability, operations, and the need for harmonization of regulations, codes and standards. Governments are actively seeking ZEB solutions. Throughout Europe, Asia and the Americas, governments are putting legislative pressure on transit authorities to reduce emissions. 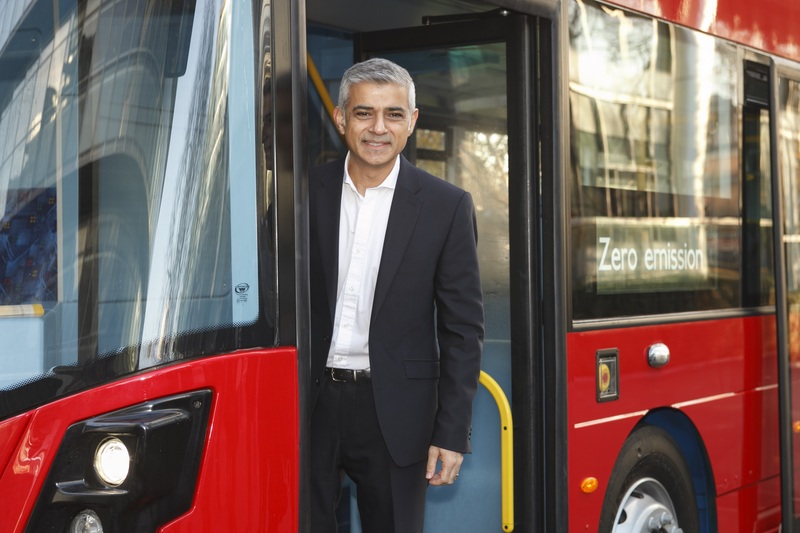 The conference keynote speaker was London Mayor, Sadiq Khan, who announced that all of London’s new single-deck buses will be zero-emission, and after 2018 the city will acquire no more pure diesel double-deck buses. The city is awaiting the delivery of at least 20 new fuel cell buses in addition to the 8 currently in operation. Perhaps it’s no coincidence that the world’s first double-decker fuel cell bus was unveiled at the conference! London is not alone: eleven other major cities are phasing out procurement of pure diesel buses. In America, California’s Zero Emission Bus Pilot Commercial Deployment Project has funded 25 FCEBs for deployment beginning in 2017. In Asia, both Korea and China anticipate major growth of hydrogen vehicles, including FCEBs. Korea plans to replace 2,000 CNG buses per year with FCEB. To learn more about the 2016 International Zero Emission Bus Conference, please download our white paper. The paper summarizes the key takeaways and findings from government and industry, with reports from early adopters who have deployed FCEBs. It includes links to all conference presentations and related resources. The download link is below.